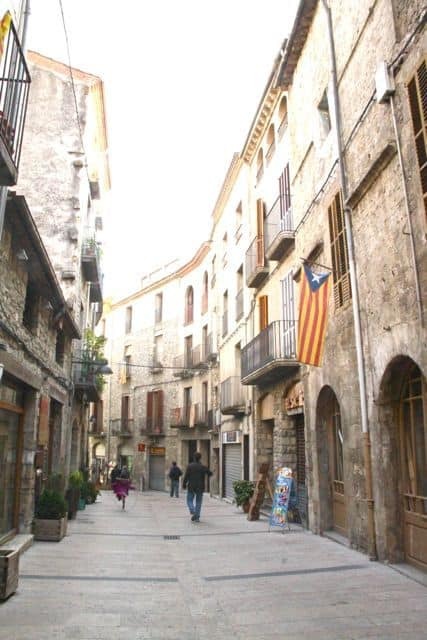 It’s amazing that Besalú — a town of weaving cobblestoned streets — has managed to stay so intact since the Middle Ages. 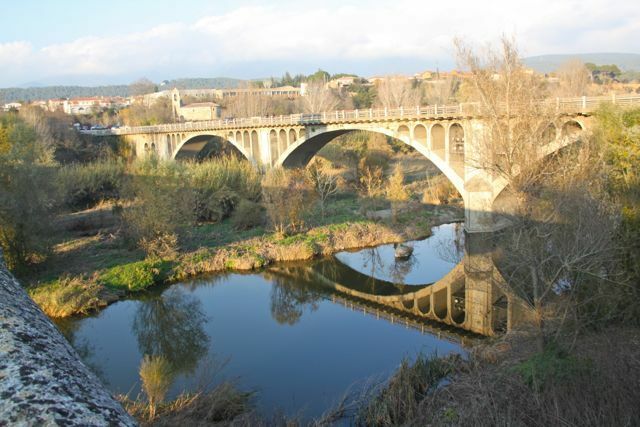 Its Romanesque bridge dates back to 1075. And although it’s been reconstructed twice after that, it’s still a well-preserved piece of medieval history. I dropped by this little charmer in December when there were few crowds. I’ve heard that sometimes visitors come in by the busloads. Bleh! So if you’re coming in the summer, make it an early day. My family and I spent a good 4 hours in Besalú — perusing the shops, enjoying some coffee, and meandering about the atmospheric streets. 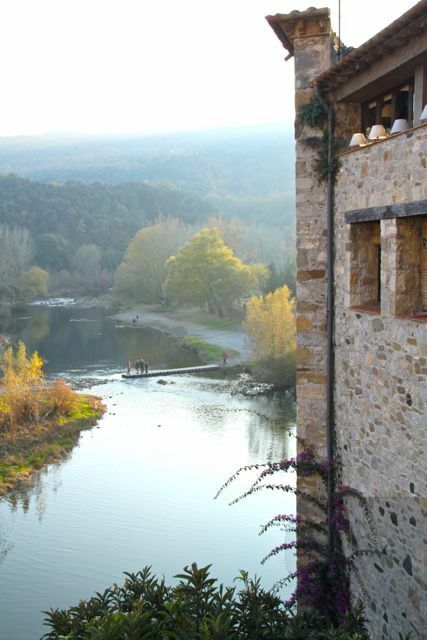 But in Besalú, you turn a corner…and you see touches of those romantic medieval times. Nothing too modern, gimmicky, or strangely out of place. So no Starbucks, McDonald’s, or H&Ms. So stay away, megaconglomerates. We do live in modern times. Where insta-everything doesn’t exclude having an insta-butcher. 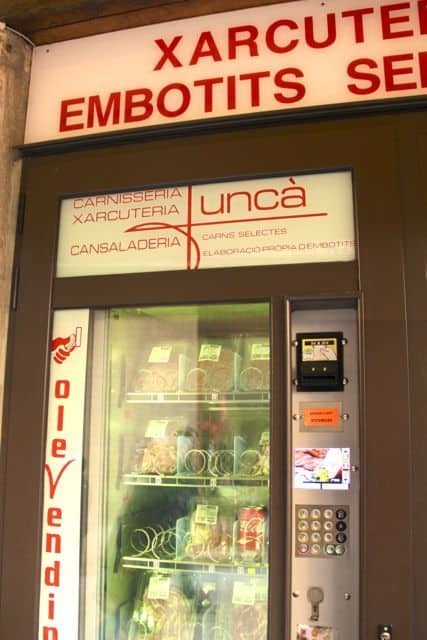 Check out this vending machine of fresh meat. This would so be useful on Sundays or holidays when all the supermarkets are closed. In Besalú, I just love the I-don’t-got-sh*t-to-do-today atmosphere. 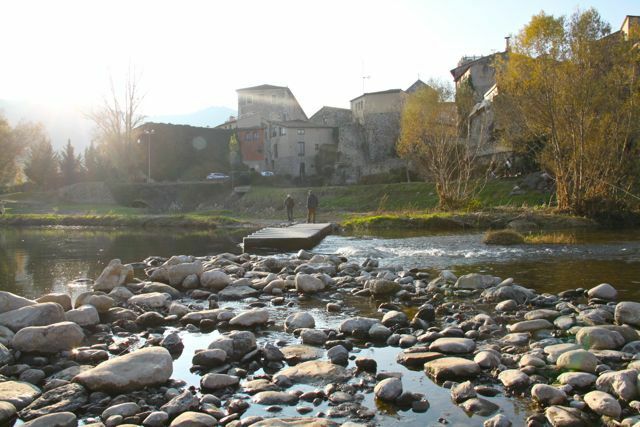 The most picturesque part of this town is the fortified bridge that goes over the Fluvia river. It’s no dinky construction. It has two segments, which form an obtuse angle. A view of the bridge that leads you back to Barcelona. You can also take some stairs to go down to the river bank. There aren’t any benches, bike paths, or picnic tables. It’s just a place to admire the calm waters and breathe in nature. 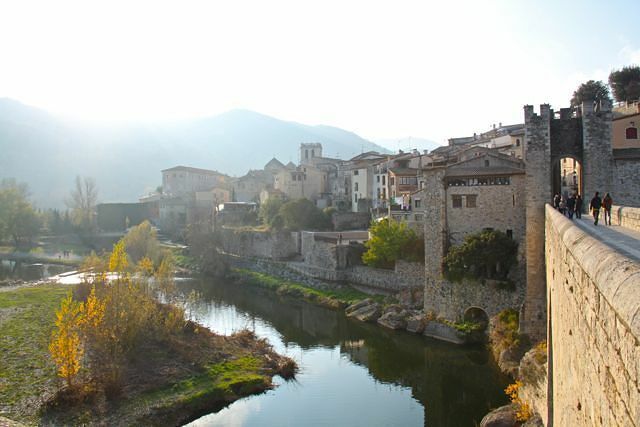 By car, Besalú is about one hour and 45 minutes away from Barcelona. And I think spending 5-6 hours max is just enough to enjoy the town. While this town hit the spot for “getting away”, I don’t think I’d come again just for the heck of it. But, I would definitely come to show visitors around. The summer must have a more upbeat vibe too. 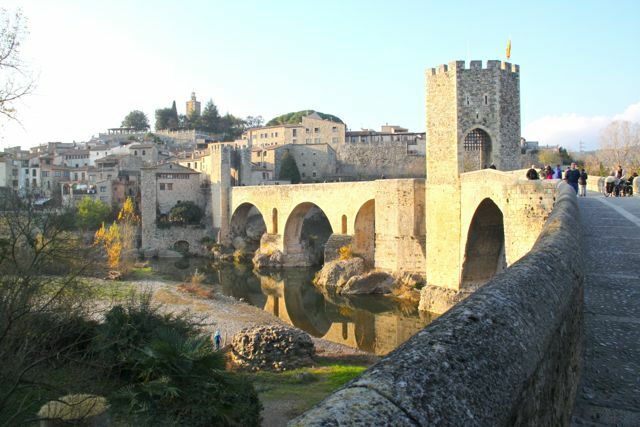 Have you been to Besalú? Does this look interesting to you? 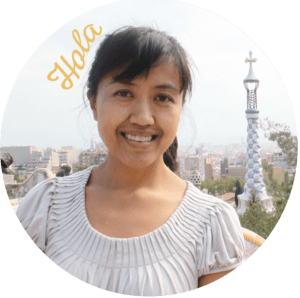 I have been quietly following you, preparing for our trip to Barcelona and southern France. I have enjoyed many of your insights. This post in Besalu piqued my interest so we stopped there. It was so worth it, a gem of a village ! Thank you for sending us somewhere I wouldn’t have found myself!